2 Bedroom Flat For Sale in Bournemouth for Guide Price £240,000. Palmer Snell are pleased to offer this well presented freehold two double bedroom ground floor flat with direct access from lounge via double glazed patio doors to private rear garden. The property occupies a good sized corner plot with driveway providing off road parking for several vehicles accessed via Bentley road. The property is situated in a sought after location of Moordown close to local shops and regular bus services to Bournemouth town centre. 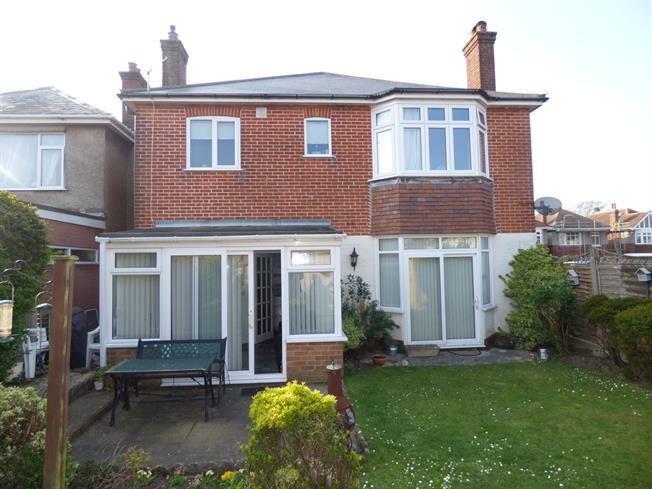 The accommodation comprises of a private entrance leading to a spacious hallway, two double bedrooms both of which benefit from large bay windows and built in wardrobes, bathroom and separate WC, kitchen leading in to the conservatory and a spacious reception room. Other benefits include full UPVC double glazing and gas central heating throughout.